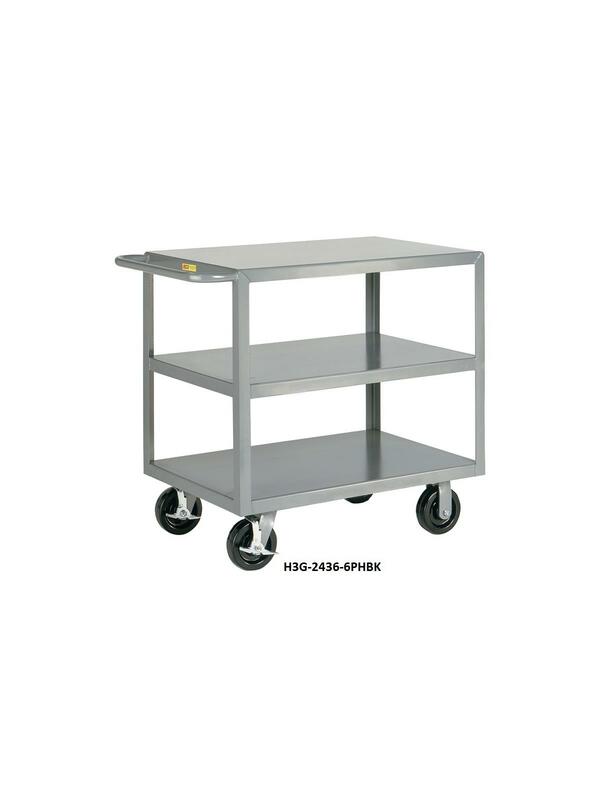 All-Welded Multi-Shelf Transport Trucks | Carolina Packaging & Supply, Inc. Shelves are available with flush edges or with 1-1/2" retaining lip. 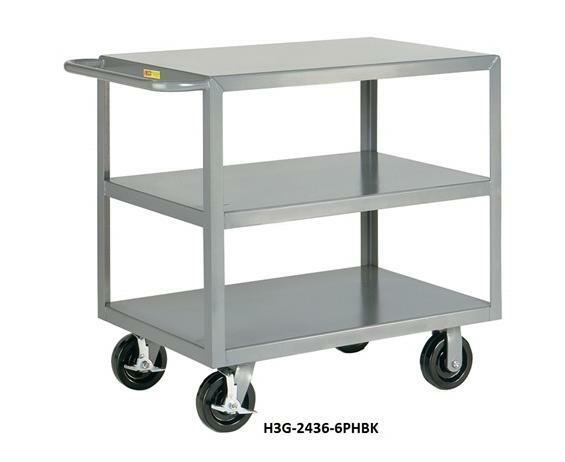 Rolls on 2 swivel, 2 rigid casters with 6" x 2" hard tread phenolic wheels for added maneuverability under heavy loads. Swivel casters have wheel brakes to stop unwanted movements when loading and unloading. 36" overall height. FOB Shipping Point.